Earn up to 15,315 reward points. 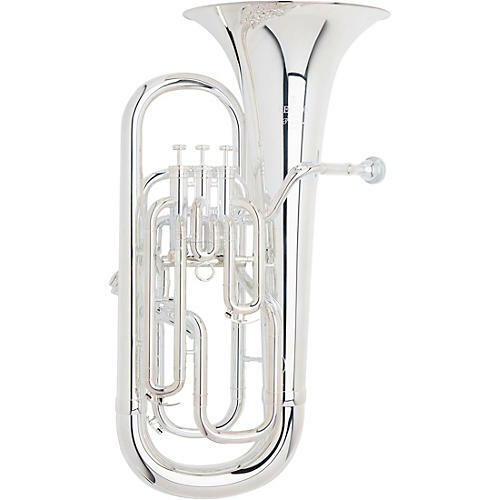 The Besson BE1065 Performance Series 4-Valve Euphonium is a free blowing model with an easy of tone production and even response throughout the register. It has a rich, warm, centered tone and a reliable, fast and quiet valve action. Coupled with a comfortable playing position for both mouthpiece and finger, the BE1065 Besson Student Euphonium provide a classic sound even in the hands of the less experienced player. The Besson 1000 Series euphoniums provide an excellent start to the careers of aspiring euphonium players.